EXPERIENCE WITH A PERSONAL TOUCH! Vaneta Becker has loved serving the real estate needs of buyers and sellers in her community for the last 25 years. She knows the community and the real estate market. 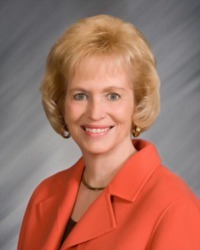 Heading various committees and serving part time in the State Senate, Vaneta serves southern Indiana well and she serves her clients well, too. Vaneta is also very active in the community and serves on the Board of Directors of the Ark Crisis Child Abuse Prevention Nursery. For a professional sale or purchase with a genuine personal touch, contact Vaneta at VanetaBecker@FCTE.com.